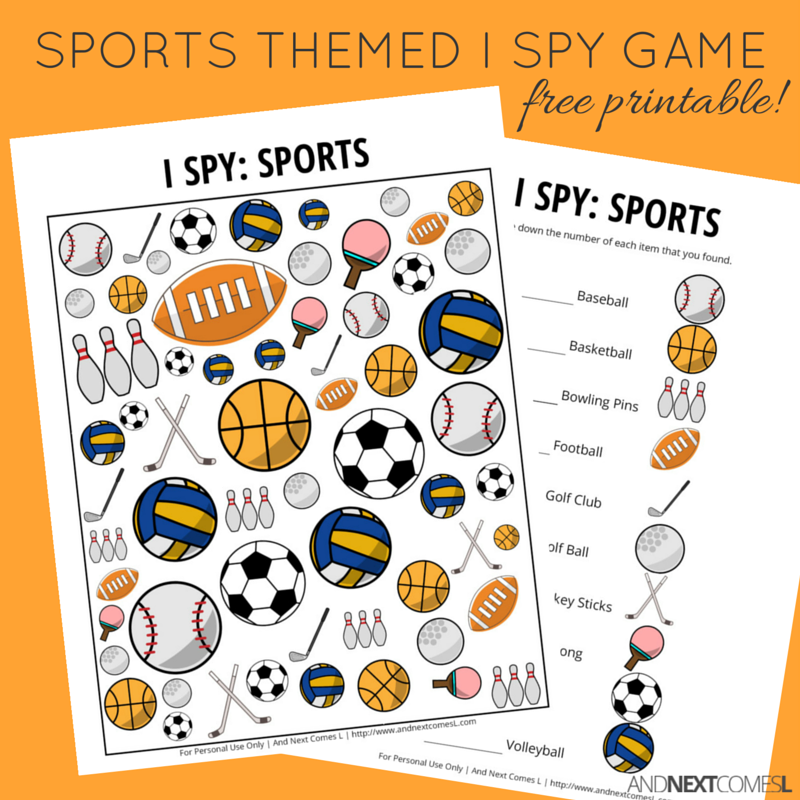 This free sports themed I spy printable for kids is a perfect way to work on a variety of skills! Since it's time for March Madness, we've been busy watching basketball games. 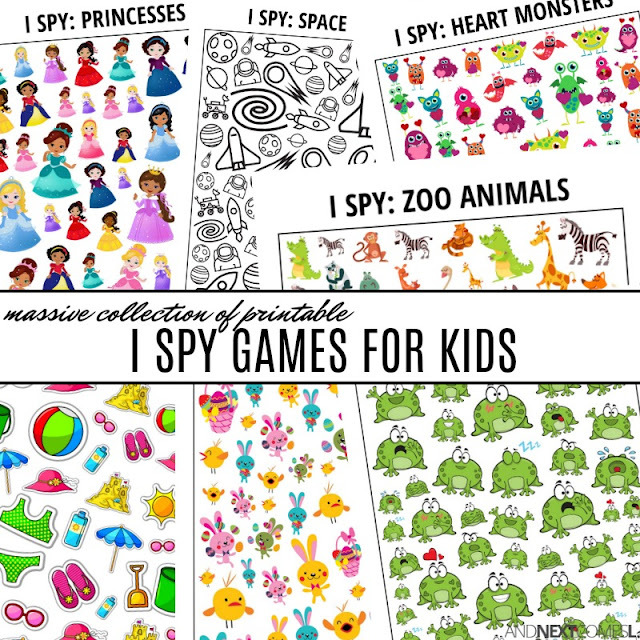 So I thought I would make this free printable sports themed I Spy game for kids to go along with our March Madness viewing. Ideally, I want to make purely a basketball themed one, but I still haven't found the right clip art for it. Hopefully soon. In the meantime, this sports themed one will do the trick! 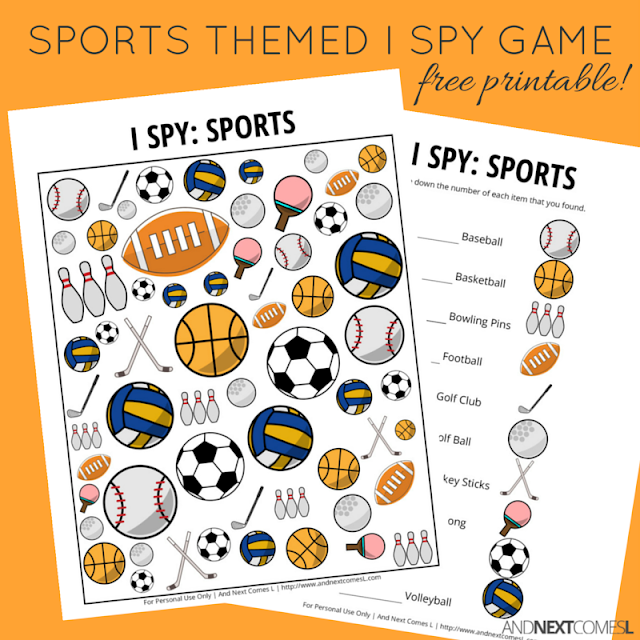 I Spy printables like this sports themed one are great for providing visual sensory input to kids, making them a great choice for visual sensory seekers. They also help develop a child's visual tracking ability and improve visual discrimination. This printable requires kids to visually scan through the objects and find ones that are the same.